Vapor Power offers equipment for use in several applications related to asphalt production, heating and storage. A closed loop thermal fluid heating system is ideal for a liquid terminal storing asphalt and can be simpler than a steam system. 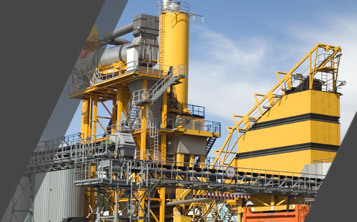 Thermal fluid heaters can also be utilized in asphalt production and mixing facilities or roofing material manufacturing where higher temperatures are required, making hot oil a preferred solution. Vapor Power thermal fluid heaters are available in sizes up to 20,000,000 BTU/HR and can be completely skid packaged with the thermal fluid pump and expansion tank. Other asphalt applications, such as rail car heating, may be better suited for a steam generator. The five minute startup of a Modulatic or Circulatic saves fuel and labor for this intermittent steam use. Modulatics are available in sizes from 18 BHP to 220 BHP and Circulatics from 75 BHP to 600 BHP. If an asphalt application requires both steam and thermal fluid within the facility, Vapor Power offers the unique ability to provide equipment to meet all of your heating needs.